Jack, also 20, said he doesn't believe there's a chance Tibbetts would have left on her own accord. "Everybody has a Mollie, a person that has changed your life in such a huge way and that’s in everybody’s lives. Just imagine if somebody had taken your Mollie," he told ABC News' Cecelia Vega in an interview Friday on "Good Morning America." "Put yourself in our shoes. You would do anything to get her back and you would just be desperate for anything to come forward to get her back," he added. 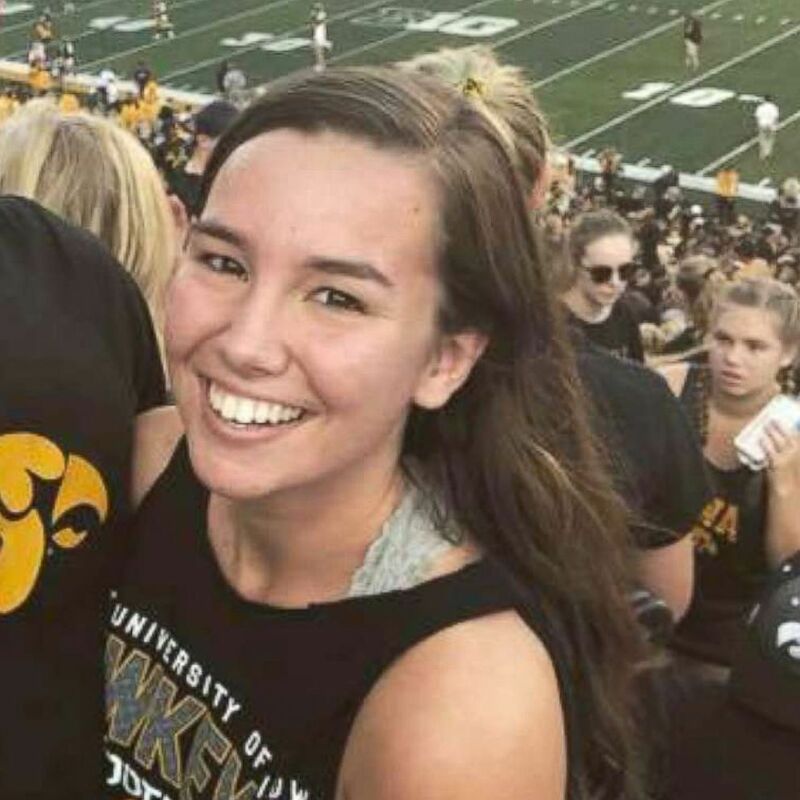 Tibbetts, a sophomore at the University of Iowa, went for a jog the evening of July 18 in Brooklyn, Iowa, a close-knit farming community of about 1,500 people where she was staying with Jack for the summer. She never returned. Jack said he last saw Tibbetts on July 16. The next day, he traveled to the city of Dubuque, Iowa, for his work at a construction company. He said she stayed at his Brooklyn house alone and watched his dogs. The couple chatted via text messages and social media on July 18, just before Tibbetts went out for her evening run which, Jack said, was her regular routine. "We were just having conversations on and off through text and Snapchat, and that was about all. It seemed like a totally normal night," he said on "GMA." More than 40 investigators are now working on the case each day to find Tibbetts, and they have received over 200 tips that they are pursuing. 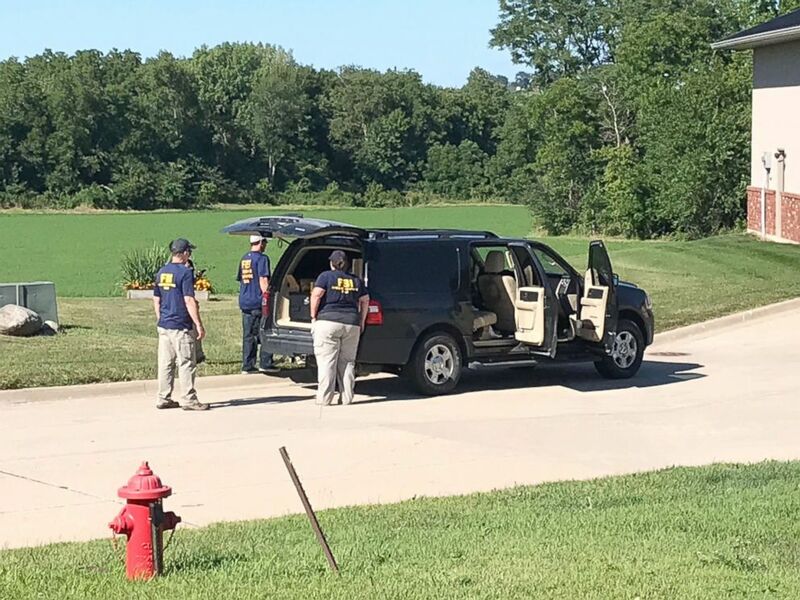 Authorities, with the help of hundreds of volunteers, have scoured swaths of land in Brooklyn and the surrounding Poweshiek County in the search for Tibbetts. Investigators have also canvassed neighborhoods and conducted dozens of interviews. Kevin Winker, director of investigative operations for the Iowa Department of Public Safety, said Tibbett's disappearance is being treated as a missing person's case and the investigation "has not slowed." Authorities have remained tight-lipped on any clues or information they have uncovered. Winker acknowledged how "frustrating" it is for the community and Tibbetts' loved ones. "We believe that it gives us the best opportunity to resolve this investigation," Winker explained at a press conference Friday morning outside the Poweshiek County Sheriff's Office. Winker did tell reporters that investigators are "confident" they have a "solid timeline," but declined to give further details. He also declined to say whether they have identified any suspects. "We continue to look at all possibilities," he said. "I'm not in a position right now to say we have suspects, we don’t have suspects, persons of interest or anything else"
Poweshiek County Sheriff Thomas Kriegel has said that Jack and Tibbetts' brothers have been ruled out as suspects. "It certainly helps in that we are able to help establish a timeline and that's certainly critical for any investigation like this," Rahn told ABC News in an interview last week. Rahn declined to say at the time whether investigators have found her FitBit or if they know its location. "At this point, we don't know her exact whereabouts but we continue to look. We are hopeful that she is still alive and so we will continue to think that way until told otherwise," Rahn told ABC News last week. "We're doing everything we can to locate her and track her down." 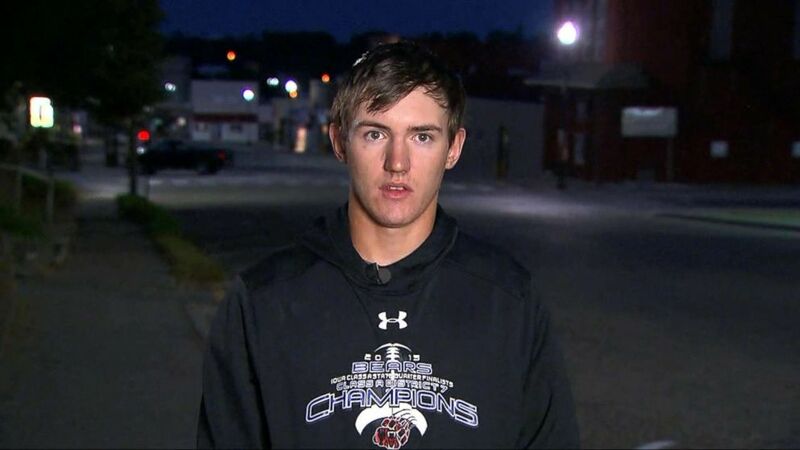 Dalton Jack is interviewed by ABC News' "Good Morning America," from Brooklyn, Iowa, Aug. 3, 2018. 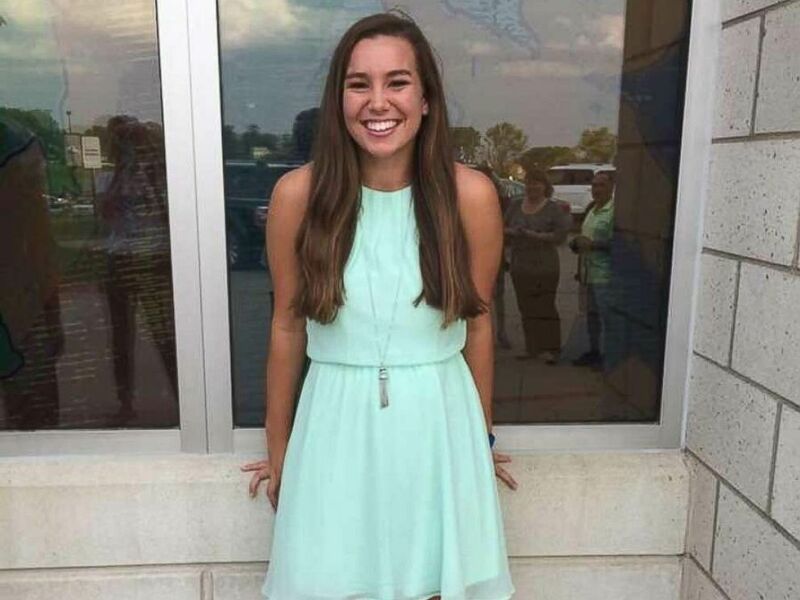 Jack stood with Tibbetts' family at a press conference in Brooklyn Thursday morning, where her parents announced that they believe she is being held captive and the reward for her return has increased to $172,000. "We believe that Mollie is still alive and if someone has abducted her we plead with you [to let her go]," Tibbetts' mother, Laura Calderwood, said. "Everyday I feel Mollie's presence with me. Sometimes I just feel her sitting on my shoulder. And Mollie was an incredibly strong young woman and I don't know that I have the strength in me and Mollie is lending me her strength every day and every night," she added. In the meantime, Jack told ABC News he's "just taking it day by day." "Doing what we can in the moment to get her safe first," he said on "GMA" Friday morning.